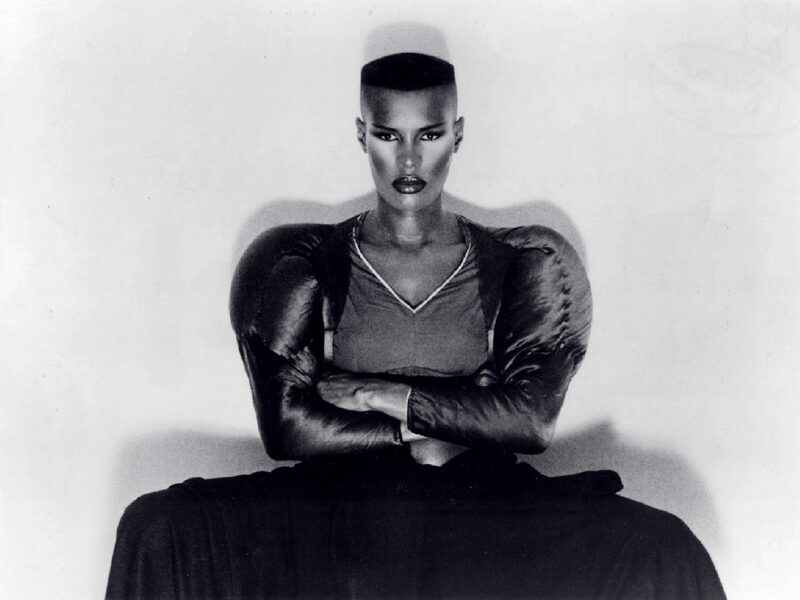 Sorry Goths and Hipsters—Jamaican singer Grace Jones was the first artist to cover Joy Division. In fact, the fashion icon, dance music pioneer, and music legend— whose androgyny can only be compared to the likes of David Bowie, Annie Lennox, and Tilda Swinton— covered Joy Division’s She’s Lost Control for the b-side of her June 27th , 1980 release of her single Private Life, which was a cover of Chrissie Hynde penned song by The Pretender’s released earlier that year. 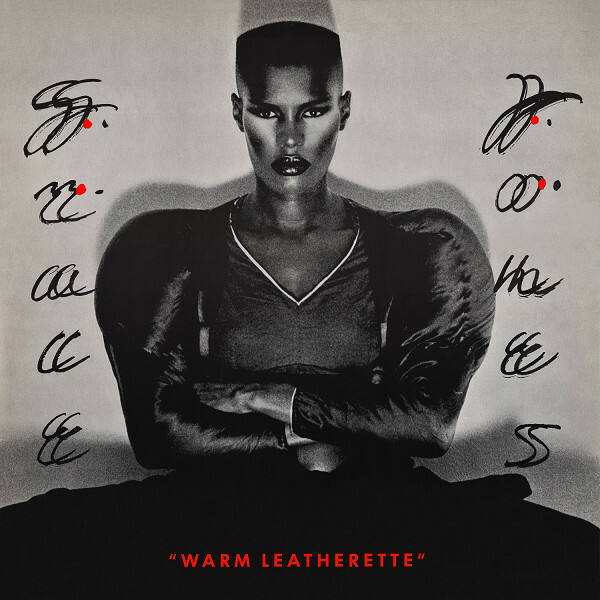 Private Life was featured on Jones’ fourth studio LP Warm Leatherette, named after Mute Records debut single also covered on the LP that was originally released by founder Daniel Miller under his alias The Normal. Given that the Warm Leatherette LP was released on May 9th, 1980, and that Private Life is an album track, it is as far as we know recorded before Joy Division singer Ian Curtis had taken his own life, unless Jones had quickly returned to the studio in tribute, but that is not likely given that the track is a b-side. Not only that, but all songs featured on Warm Leatherette were recorded at Compass Point Studios in the Bahamas. Additionally, there is another link to Joy Division as well in the subject matter of Warm Leatherette, as it was a song inspired by Crash, the post-modernist novel about fetishizing the experience of a car crash by author J.G. 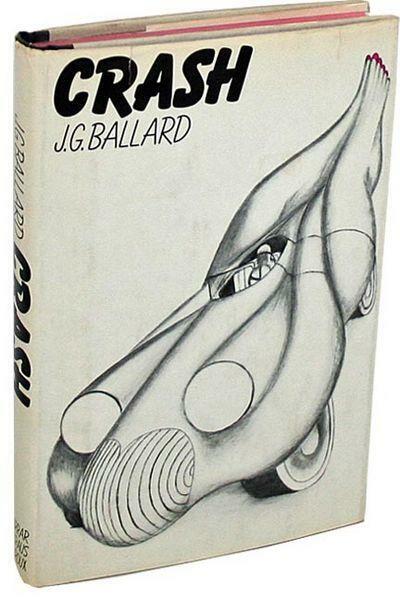 Ballard, where the story was also featured in the preceding work The Atrocity Exhibition. The book, The Atrocity Exhibition also naturally inspired the track of the same name on Joy Division’s Closer LP, which was released a few months after Jones’ cover, being issued on on July 18th, 1980, exactly 2 months after the death of Ian Curtis. Pivoting from her disco trilogy that finished with 1979’s Muse, Jones stepped right into the avant-garde, by embracing the emerging post-punk through a series of covers on the Warm Leatherette LP, all while the genre was still finding its voice. 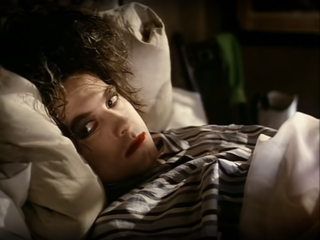 The first single from the LP Rolling Stone had a quirky new-wave sound reminiscent of early Nina Hagen and Klaus Nomi, yet still retaining a slight disco vocal. 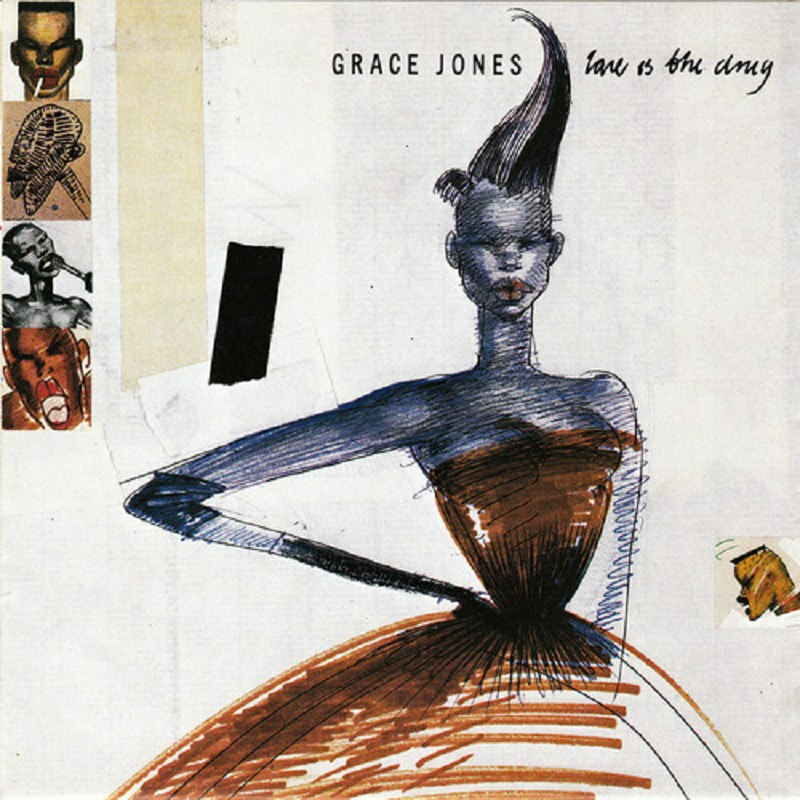 The second single off of the album, was an vibrant and stunning cover of Roxy Music’s classic anthem Love is The Drug from their fifth studio album Siren.that Grace Jones certainly makes her own. The cover has a fantastic animated music video that was produced for the 1986 remix of the track that was directed by Matt Forrest and Bruno Tille. Breakdown is a song by Tom Petty and the Heartbreakers’ that was also later covered by The Replacements, and recently Lydia Lunch. Tom Petty specially wrote a third verse for the song for Jones. Watch Grace Jones perform the track on Solid Gold. The remaining two singles on Warm Leatherette are the Smokey Robinson cover of The Hunter Gets Captured by the Game, and a french language track Pars. 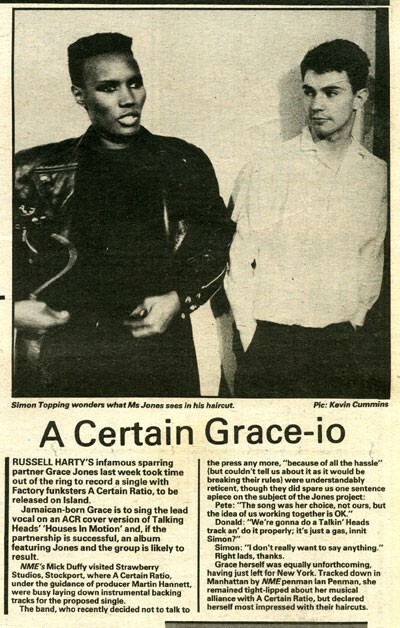 As the Rock Nerd UK blog points out, After the release of her cover of Joy Division She’s Lost Control, Grace Jones took an interest in working with Factory Records band a A Certain Ratio, through a connection with Island Records A&R Nick Stewart, who had been scouting Factory bands at the time. 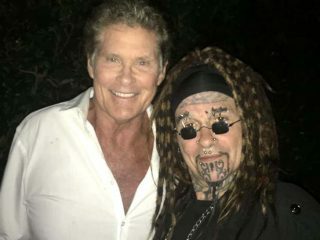 Indeed even before Shack Up appeared, co-manager Wilson found himself invited to New York to discuss signing Ratio to artsy Island sub-label Antilles for America. 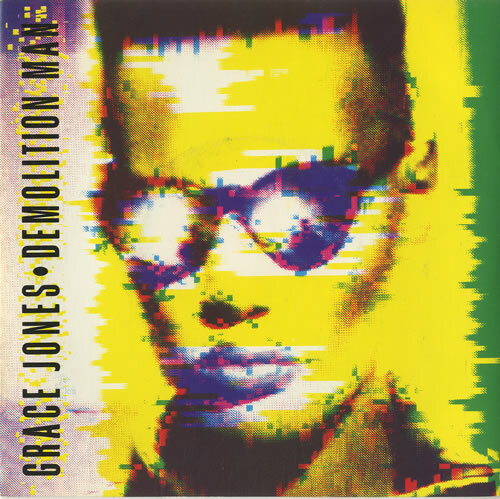 Through Nick Stewart, operating from Island’s London office, Factory also caught the attention of achingly fashionable disco diva Grace Jones, who recorded a singular cover of She’s Lost Control by Joy Division, and would toy with the idea of employing Ratio as her backing band. 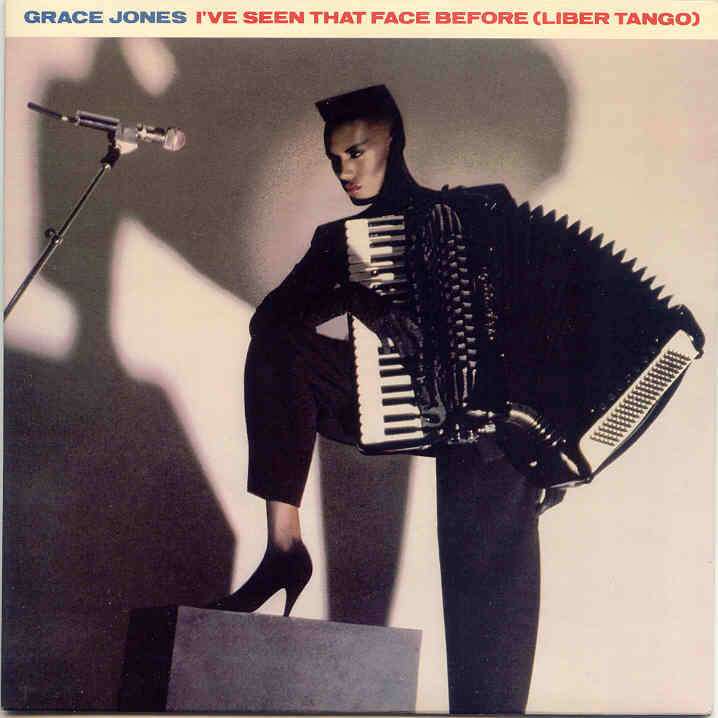 With Shack Up and Flight both released inside four short months, Ratio now found themselves courted by Grace Jones, whose cover of She’s Lost Control had appeared in August. 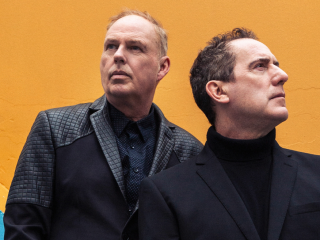 ‘She went up to Manchester to do some television promotion,’ recalls Island A&R man Nick Stewart, ‘so I took her to Strawberry when ACR and Martin were mixing their album. We talked about a collaboration, and there was an attempt to record a version of And Then Again, and Houses In Motion by Talking Heads. 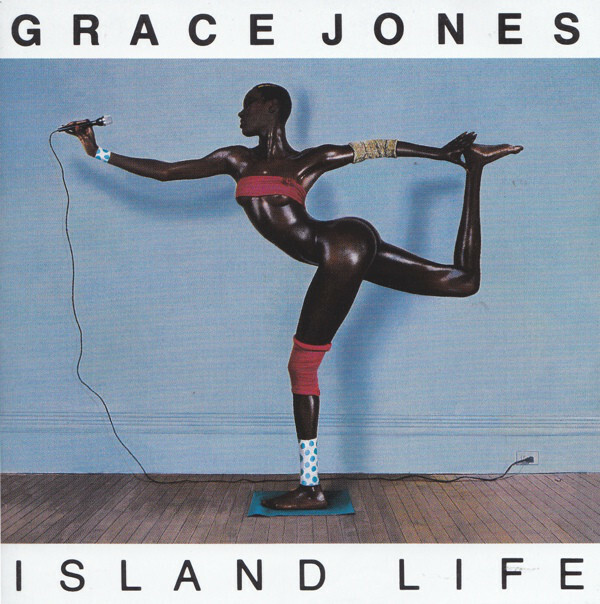 But it never quite came off.’ In fact it was even suggested that Ratio record an album with Jones at Compass Point in Nassau, but according to guitarist Pete Terrell: ‘Chris Blackwell at Island didn’t know anything about the project until after we’d met Grace Jones, done some recordings, and some PR shots appeared in the press. He wasn’t happy about it because he was her producer, not Martin Hannett. This guy at Island was really keen but he got overruled. Anyway Donald didn’t think the deal was very good, and I was told that Tony didn’t get on with Chris Blackwell. On November 18th, 1980 Grace Jones repeatedly slaps talk show host Russell Harty on live television for being rude and repeatedly turning his back on her. This one of the most iconic moments on television let alone being a great moment for an icon such as Jones. 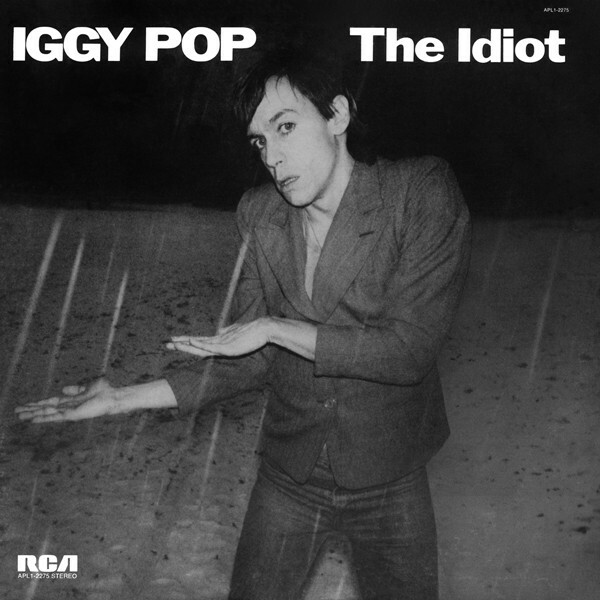 The follow-up to Warm Leatherette, named after another cover of an essential post-punk track culled from Iggy Pop’s The Idiot LP, a record named the novel from Fyodor Dostoyevsky, and companion album to David Bowie’s Heroes. The track is question Night Clubbing, which was famously sampled for Nine Inch Nails 1992 singlee Closer’s trade mark piston sound. It is worth noting, coincidence or not that The Idiot was the last thing Joy Division singer Ian Curtis listened to before hanging himself. 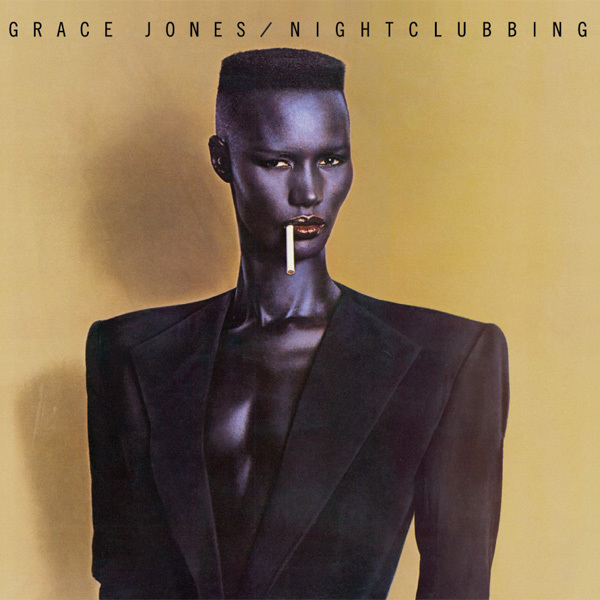 Nightclubbing is Grace Jones’s fifth studio album, and although the title track is fantastic, it’s is hardly what this highly influential album is best known for regarding it’s impact on fashion and music. 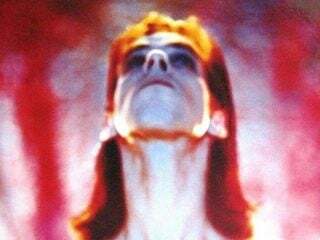 The first single on the LP was a song written by Sting during his tenure with his band The Police. The next single I’ve Seen That Face Before (Libertango), is a reggae reworking of Argetine bandoneonist Astor Piazzolla’s original. Watch the infamous Jean-Paul Goude directed music video below, where Jones’ play the accordion. 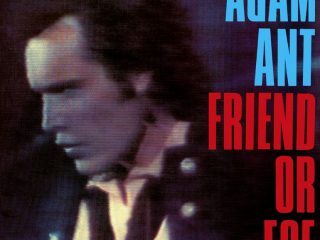 The video closes the 1982 long form music video collection/documentary A One Man Show on Jones that features many of the videos that are featured in this article. 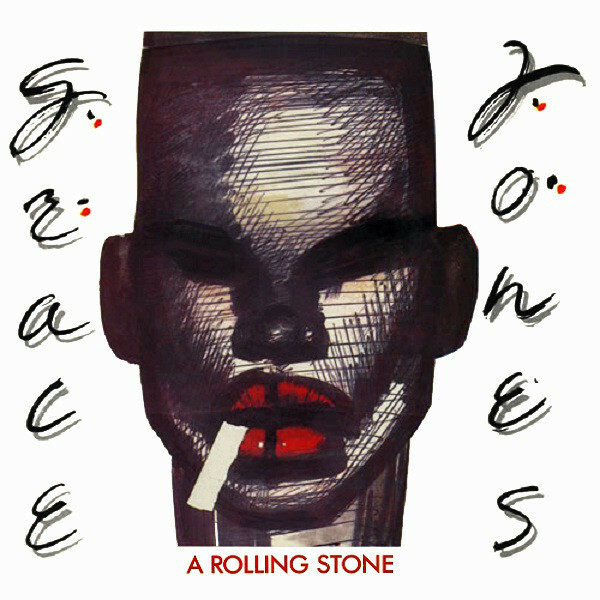 The next track on Nightclubbing is perhaps the best known song of Jones’ entire career. The sexually suggestive dance club hit Pull Up To The Bumper. 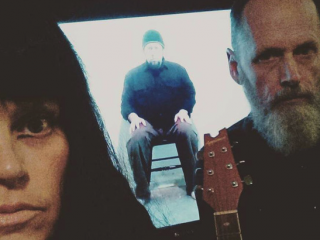 The music video for the song is a combination of live footage from A One Man Show with excerpts from Godfrey Reggio’s 1982 experimental documentary film Koyaanisqatsi. The next singles were Use Me, a cover of a Bill Withers song, and Feel Up. The final single on Nightclubbing was Walking In the Rain, a cover of the 1978 song by Australian band Flash and the Pan. After the release of Warm Leatherette and Nightclubbing, Grace Jones concluded her trilogy of Compass Point Studios records with her 1982 new-wave inspired sixth studio album Living My Life, which was followed by the release of A One Man Show. Jones’ two post-punk LP’s were perhaps the most memorable part of her iconic career, cementing her image into the annals of music, style, fashion, and art history. 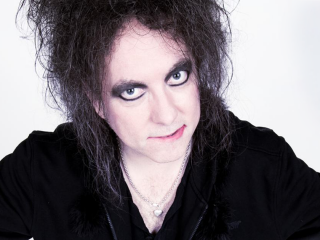 Her work on both records would later comprise half of her 1985 greatest hits LP Island Life, which probably has one of the most recognized album covers of all time, along with Joy Division’s Unknown Pleasures.